Platinum Diamond Set Cross Eternity Ring — Form Bespoke Jewellers Ltd.
A cross eternity ring, diamond set and cast in platinum. 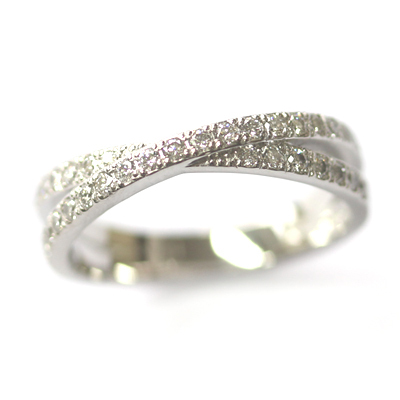 This is a lovely contemporary style for an eternity ring. 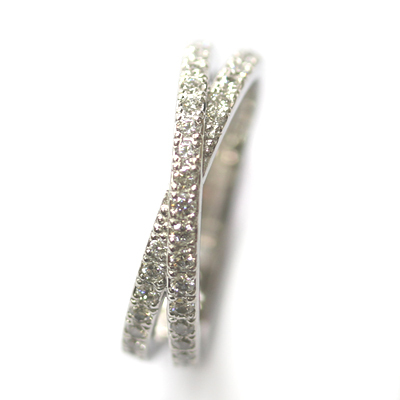 Partly diamond set, it boasts a trendy crossing design giving the illusion of two separate bands. Both bands are set with petite round brilliant cut diamonds which have been grain set by hand for additional sparkle. All the diamonds are of matching clarity and colour which ensures a flawless finish across the ring. 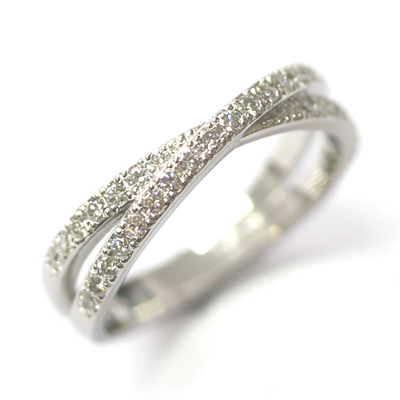 A stylish and bespoke platinum and diamond set eternity ring.